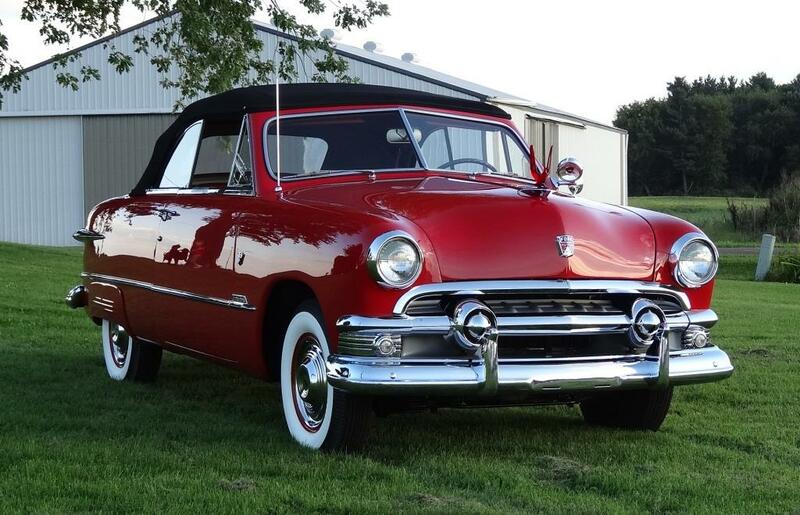 The Fully Restored 1951 Ford Custom Convertible Revealed!!!!! THANK YOU TO OUR CUSTOMERS!!!!! 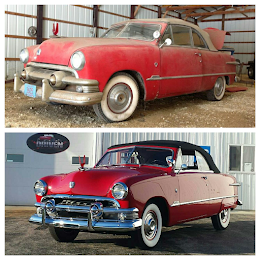 The frame-off restoration of the 1951 Ford Custom Convertible was an honor to complete for the family that has loved this car since it was bought from the dealer in 1951. 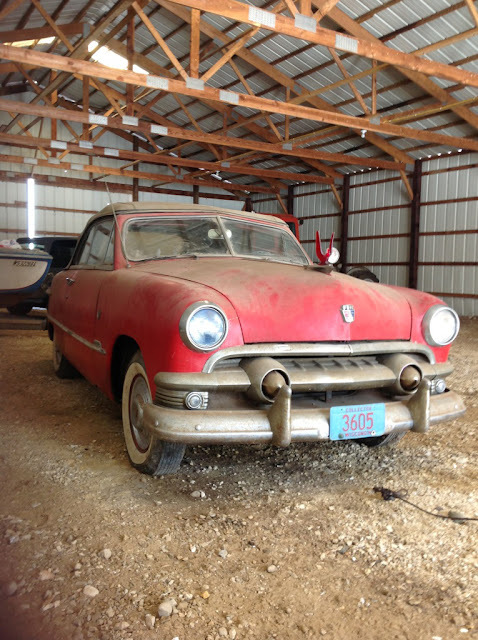 Complete with eagle emblem, original black WI license plate, dealer purchase receipts and service stickers, this Ford is in a class all her own. More details about this car will follow in a future blog post. See more project photos in our photo gallery!